The CTL helps members of the Columbia teaching community effectively integrate instructional technologies in their teaching practice. Faculty, graduate students, postdocs, and staff can get advice, training, and support to experiment with a rich portfolio of online platforms and digital and media tools to turn classrooms into active spaces for learning. The CTL also supports custom software development and media production for faculty through the Provost’s Request for Proposals for hybrid and online learning projects. These efforts allow faculty to stay on the cutting edge of instructional technologies. Send inquiries to ColumbiaCTL@columbia.edu or contact the learning designer assigned to your department. Audience Response Systems (ARS) are used in classrooms of all sizes to engage participants by facilitating interactions among the students and the instructor. Instructors use audience response technologies to communicate with learners and collect feedback on questions. Learners respond to these questions using their own web-enabled devices, such as a phone, tablet, or laptop computer. Columbia’s learning management system, CourseWorks, is at the center of many instructional technology activities. CourseWorks is supplemented and enhanced by other tools that support a range of instructional objectives, such as tools for online collaboration, presentations, lecture capture, audience response, media annotation, and electronic portfolios. EdBlogs make it easy to share course content and create an online community using a blogging format. EdBlogs provides a blog for any course offered at Columbia University upon the course instructor’s request. LionMail Drive is Google Drive for Columbia LionMail users. 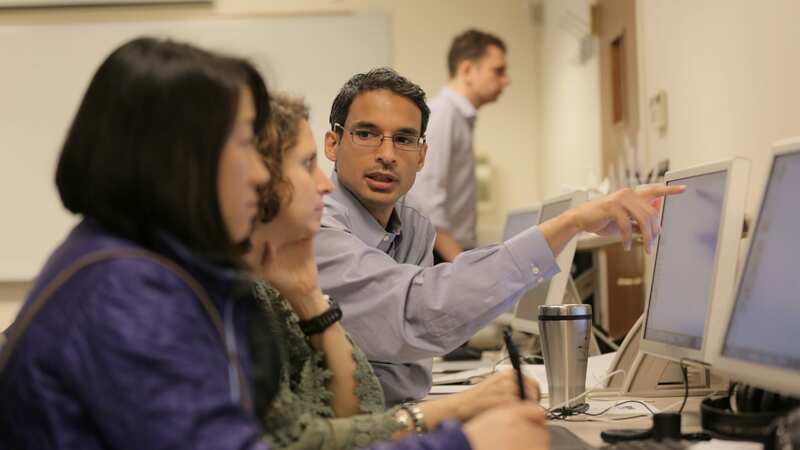 LionMail Drive offers unlimited file storage, as well as Docs, Sheets, Slides, Forms and many other services that may enhance your teaching and learning at Columbia. Projects developed by the CTL feature unique media productions and software development. If you are a faculty member interested in developing an educational innovation for your course, you can apply for funding for project development through the Office of the Provost’s Request for Proposals. Mediathread is an innovative new platform built by the CTL that supports collaborative multimedia analysis. Mediathread allows users to lift video, audio, and image items from a range of digital collections and then work with them in a course-specific website. The CTL provides logistical, organizational, and instructional support for the Office of the Provost’s Request for Proposals for Hybrid Learning Course Redesign and Delivery and Massive Open Online Courses (MOOCs). The RFPs offer faculty small grants and in-kind support from the CTL. This guide offers examples, principles, and best practices to help instructors create active and engaging classroom experiences using video, and provides information about the CTL’s DIY Media Production Spaces where instructors can create a variety of media, including interactive videos, screencasts, and annotated media. The Triangle Initiative was first developed in 2006 to explore ways that digital media could be used to advance the intersecting interests of research, education and the community, with the objective of addressing critical, social, and/or cultural needs. [UPDATE: April 2018] See note about upcoming service change.